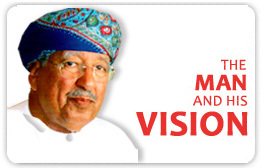 OMZEST has ventures in Banking, Insurance & Finance, which are providing world class service in these fields, towards the overall economic development of Oman. OMZEST has multiple companies in the field of construction and contracting which are contributing towards the infrastructural development of Oman. OMZEST has number of companies engaged in the manufacture of a broad spectrum of goods for the domestic market as well as exports to nearly 100 countries in the world. OMZEST offers a host of services such as medical care, IT solutions, office equipment and furniture, shipping, travel & tourism, etc, through its various service-oriented companies. OMZEST represents some of the leading companies in the world thereby offering an unparalleled choice of the best brands and after sales service to consumers in Oman and Worldwide. OMZEST has an educational institution which offers bachelor degree courses in engineering, business administration and computer applications.